Libraries and bookstores have always been my go to places for silence and tranquility. While there are fewer to find here in Colombia, I always enjoy the opportunity to visit and spend some silent tranquil time inside. Or, as Jorge Louis Borges once wrote: "I have always imagined paradise will be a kind of library." 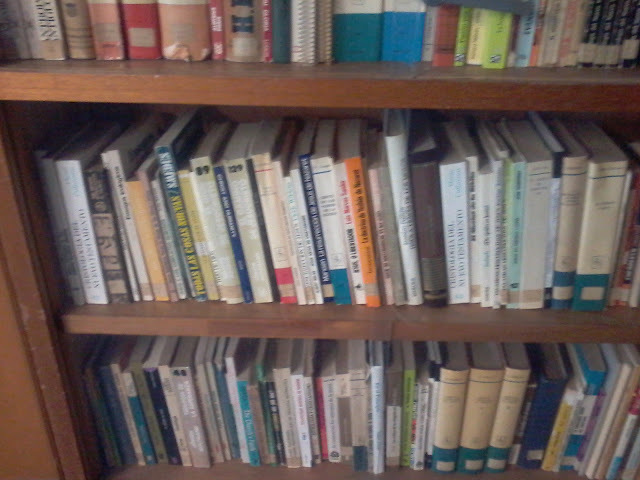 The library at the IELCO office. Photo by Curtis.